Smartphones are no longer the way of the future—they’re the way of right now. Today, there are 2.6 billion people using a handheld device to check email, to work on projects, and to communicate with friends and family. By 2020, there may be 6.1 billion people using smartphones. But it’s not just individuals who benefit from the proliferation of smartphones. Large retailers can take advantage as well. Not only can large retailers create apps to entice customers and increase engagement, but they can also use mobile devices to better train employees. Customer service is increasingly important. In fact, 3 out of 5 Americans would be willing to try a new brand to get better customer service. To compete in this landscape, many retailers have begun to use mobile phones for mobile learning, or mLearning, initiatives. Globally, retailers are improving customer service and retail training through mobile learning. The last several years have brought a magnitude of changes in how we communicate. Long gone are the days of the handwritten letter. Today, we text. Because of this, both employers and employees are looking for alternate means of getting information. 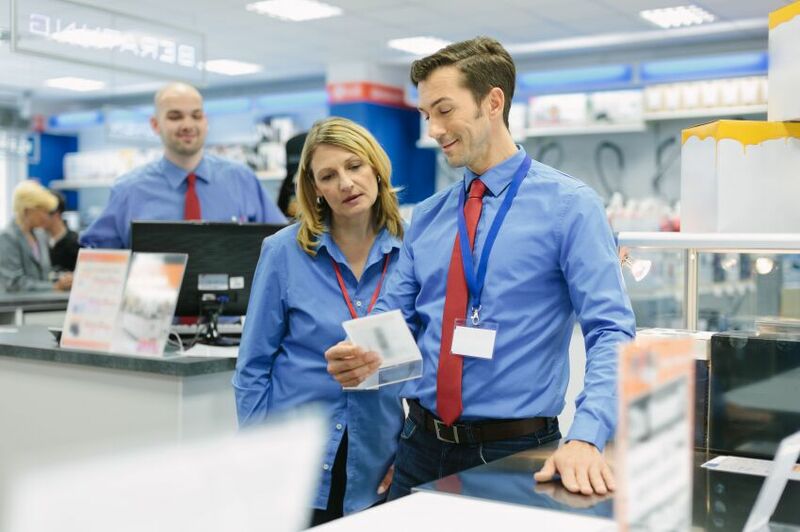 Both sides want to receive communication as efficiently as possible, and this is especially true when it comes to training programs in areas such as customer service. Everyone is prioritizing convenience, accessibility, and price. Extremely convenient: If someone is participating in an mLearning program, they can complete the program at their convenience. They can do it at whatever hour they feel is best, and don’t have to leave their sofa to complete their training. Access at any time: mLearning can be accessed whenever it’s most convenient, even if it’s in the middle of the night. In fact, audio recordings make it easy for learners to get their training during their commute, while they’re exercising, or while they’re cleaning the house. Sustainable: Training sessions can be expensive and time-consuming to run, whereas mLearning programs typically cost less over the long haul. A more sustainable, quick to deploy format is attractive to retailers, as well as the customer service reps they have to train. Each retailer is different, but every leader wants to ensure that their brand has a competitive edge, and training with mLearning can help retailers get the most ROI on their customer service initiatives. Training with mLearning allows for customization that fits your business’s unique needs, helping you to create customer service training programs that works for your employees. If you take a look at the current programming you have in place, you’ll see that it’s possible to transition many training programs to mLearning programs.